THE ANNAPOLIS SEMINAR IS NOW FULL BUT WE HAVE PLENTY OF SEATS STILL AVAILABLE IN BOWIE, EDGEWATER AND CHESAPEAKE BEACH! 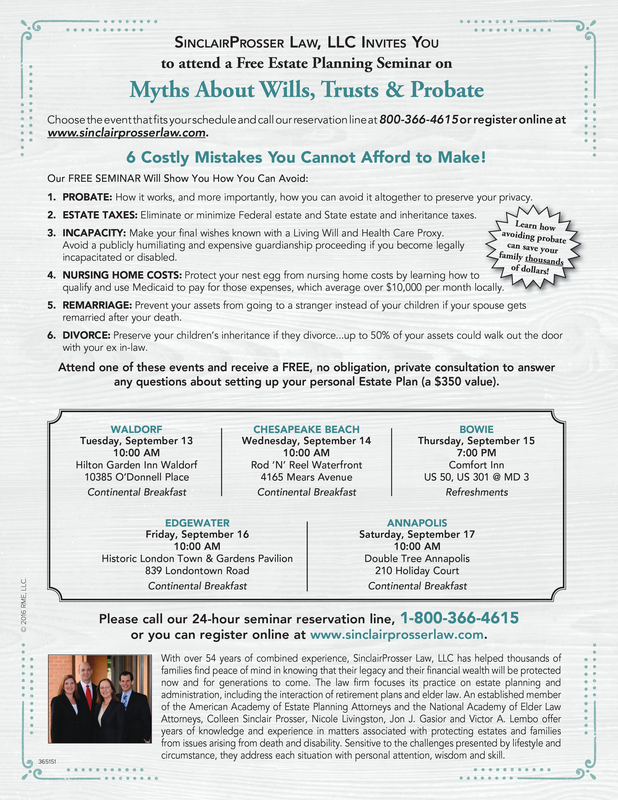 SinclairProsser Law is please to invite you to our upcoming Estate Planning Seminars in September of 2016. 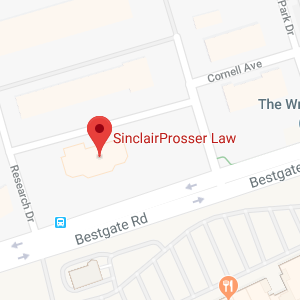 To register visit https://www.sinclairprosserlaw.com/seminars/ or call (410) 573-4818 and (301) 970-8080.